Visit Cortina d’Ampezzo for lively apres-ski, excellent shopping, challenging skiing, go-karting on ice and local history. The film version of The Pink Panther, Bond movie For Your Eyes Only and Cliffhanger, starring Sylvester Stallone, all feature scenes filmed in Cortina d’Ampezzo. Cortina d’Ampezzo is one of those fashionable resorts where jet-setters go to be seen, rather than to ski - which actually makes for a rather pleasant experience for those who do intend to use the slopes! The resort has 66 pistes offering 115 km of alpine skiing, with a 1,715 m difference in altitude between the lowest and highest. Skiers can use 34 lifts to get around and - crucially - take advantage of passes for the Dolomiti Superski area to get access to even more slopes. There are three ski areas within Cortina itself. Faloria has a good mixture of blue, red and black runs, all offering amazing views over the Ampezzo Valley. Parents will be particularly pleased to hear that it also caters particularly well for children through the Mietres ski area, which also boasts a sledge run. The Tofana ski area makes it easy to go from practising on the beginner slopes to trying your hand at the more difficult runs. If you’re feeling particularly ambitious, you can also follow the Skitour Olympia route to explore the peaks where the races of the 1956 Winter Olympics were set. Finally, the Lagazuoi 5 Torri ski area, nestled between the Falzarego and Giau passes, has plenty to offer beginner and intermediate skiers. The Gallina Ridge features skiing that is ideal for children. The Flames Sport Nordic Centre is your main port of call for cross-country skiing, and there are several trails suitable for beginners and more advanced skiers. 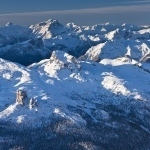 Cortina and the surrounding area offers lots of other things to do besides skiing. You could explore the region on a snowmobile tour starting from Lago Antorno at the foot of the Tre Cime di Lavaredo, some 11 km from the resort, or try your hand at go-karting on ice at a track 3 km from Cortina. 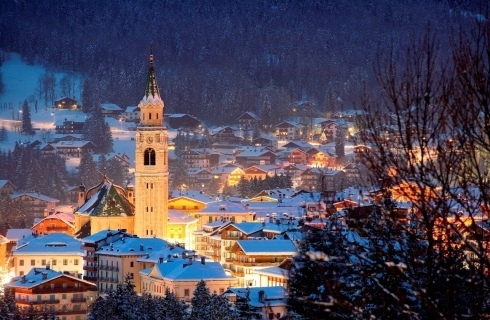 You’ll also find more traditional activities such as ice skating, curling and sledging at Cortina, along with snowshoeing (which you can do by day or night). If you’re feeling adventurous, ice trekking could be worth a try, particularly if you’re something of a climbing enthusiast. Visit Cortina at the peak of the ski season and you’ll experience the resort’s apres-ski at its liveliest. There are several bars dotted around the area where you can have late drinks, as well as some that are a taxi ride away from the resort. Cortina has an excellent range of restaurants, both within the resort and outside of it. You’ll find the more modest establishments within Cortina and more upmarket eateries further afield. There are plenty of other things to do during the day, too. The Eden Cinema and Theatre is the place to go for film screenings and other cultural events, while there are several museums to take in if you want to learn more about the region’s history, including the Palaeontological Museum and the Ethnographic Museum. 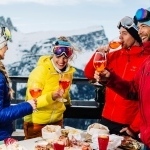 Cortina has an excellent selection of ski accommodation for all budgets, ranging from reasonably priced hotels to more luxurious apartments and chalets. 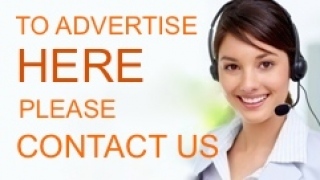 Browse our picks of the best accommodation in Cortina d’Ampezzo by taking a look at the list of links to the right - you can get in touch with any of the providers to see what sort of deal they can arrange for you.